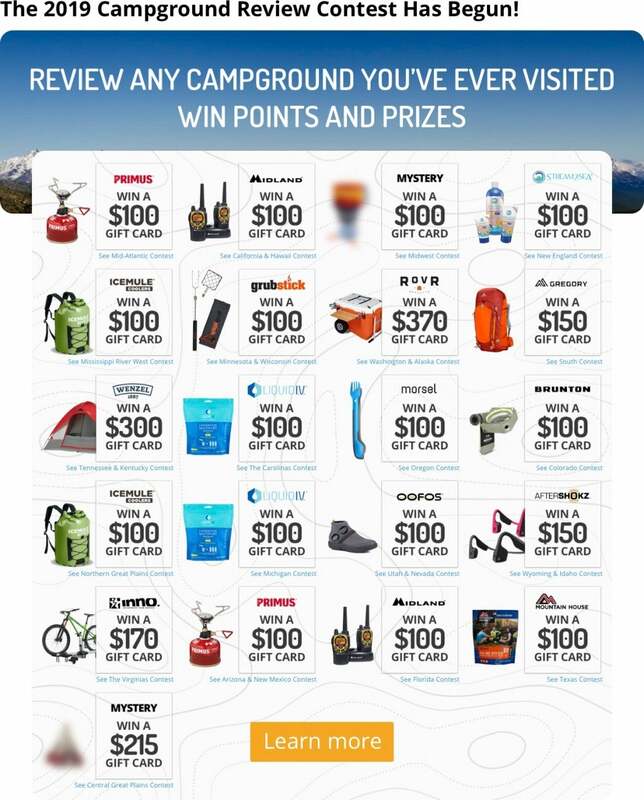 Where would you like to camp? 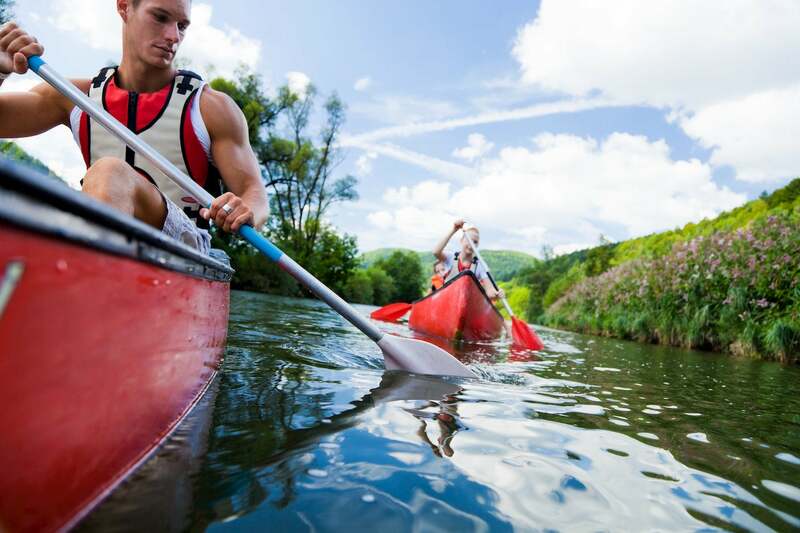 Canoe camping is one of the oldest forms of travel and exploration of the wild places in the United States. Native people from tribes across the continent would fashion these versatile watercraft in order to move across the landscape via navigable waterways, fish, and visit other communities. Fur trappers and explorers followed suit when America was young, hauling pelts and supplies across untracked wilderness in canoes, through regions where foot and horse travel was impractical if not impossible. Modern canoes, obviously, look quite a bit different than their dugout or birchbark ancestors, but they are still the right craft to explore many of the beautiful places in our country to which no path leads. Canoe camping is the water-lover’s answer to backpacking. 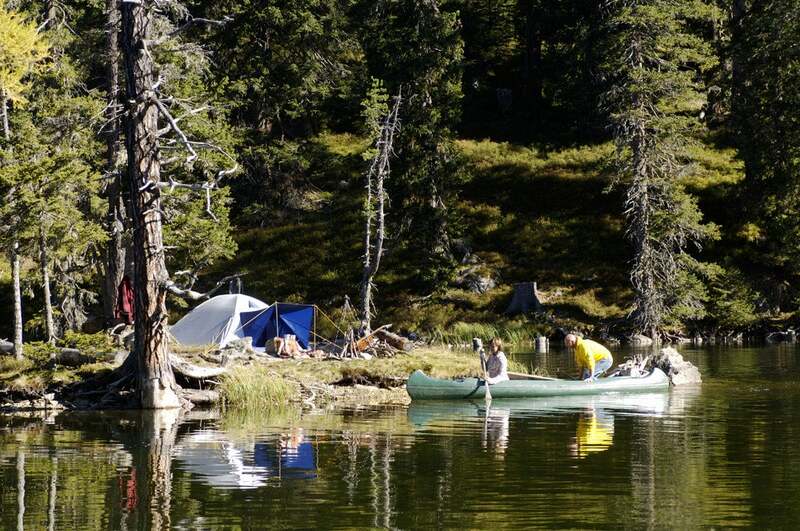 Self-sufficiency, challenge and exploration all come together to bring paddlers to beautiful campsites on lakes and rivers throughout the country. Canoeists will pack everything they need for the trip, whether it be one night or ten, into their boat. Then they paddle and fish by day while camping under the stars at night. Depending on your expertise and your goals for the trip, you can choose a canoe camping trip that is just right for you. Here are a few tips to get you out on the water. Choose a lake or reservoir near you, and plan a one or two night trip for your first time out in a canoe. By paddling still water where you end up at the same place you started, you will not have to worry about ‘shuttling’ vehicles, and you will have a quick-bail option if things aren’t working out. Once you start paddling anywhere with a current, many more skills come into play on the water as well. You will have to know how to steer your boat in a strong current, learn about ferry angles (or crossing the current), and be extremely competent in righting a capsized boat. 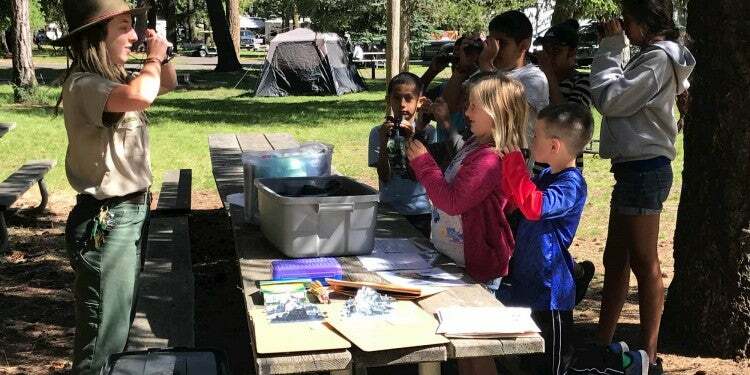 Using waterway maps and compass to navigate is a whole new skill set as well, but is essential to avoid becoming stranded or lost in a wilderness area. Especially when you are traveling on the water, it is important to never travel alone. Plan your first trip with a close friend or family member, or better yet, join up with a group of more experienced canoeists. Learning from others is the best way to grow your skills and travel safely. Always bring a hardcopy map of the area in which you’ll be paddling. Extreme temperatures can quickly drain batteries, and wild areas often don’t have good (or any) cell phone reception. It’s important to have a basic understanding of orienteering and know how to use a map and compass. 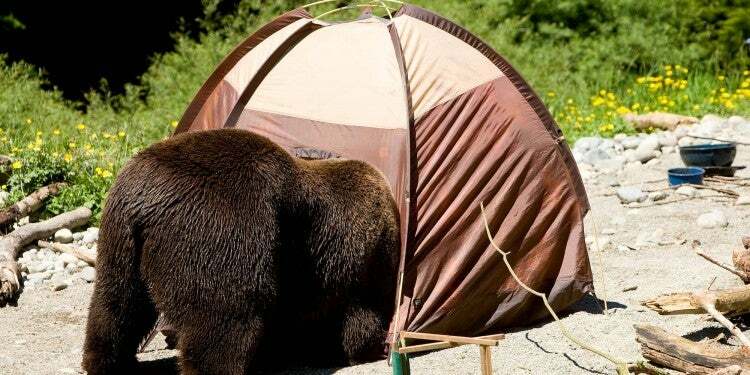 When packing and planning your trip, think carefully about the time of year and what sort of natural elements you’ll be up against. Wind plays a huge factor in any water-travel. Even a steady breeze can quickly exhaust paddlers, making for longer days as well as plummeting temperatures. Sun-exposure is another concern, so be sure to check the packing list below and make sure you are prepared for hours without shade. 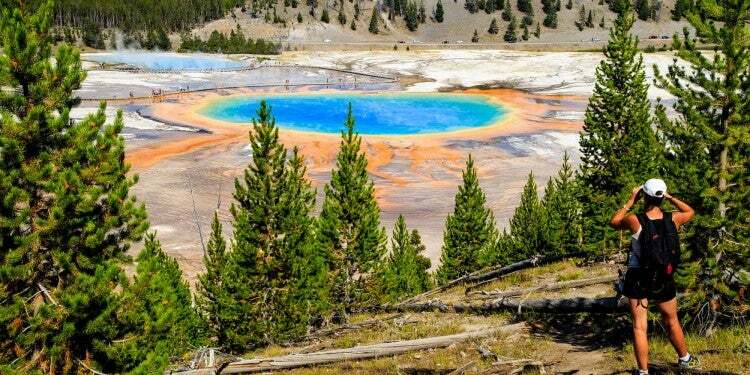 For any warm or hot weather trips, bring extra water and always have water purification. Finally, expect bugs. If there’s water, there will be bugs. To make your life easier and safer on your next canoe camping trip, carefully balance the weight of your gear both aft and stern and on both sides. A badly balanced canoe is much more likely to tip over and will be difficult to steer. Keep your gear simple and light to avoid weighing down the boat in the water as well. A boat low in the water is easy to swamp. Spend several days paddling your canoe around on flatwater, before you load it up for the trip. Learn how to steer effectively on both sides, move around safely in the boat, and practice front and back paddling position with your partner if you have one. Far too many people assume that because they took the canoeing class at summer camp when they were 12, they will be fine. This is the most important tip of canoe camping. Getting out on the water for a weekend of camping is a great feeling, but rivers and lakes can be dangerous to the unprepared. Wear a life-jacket, stay sober on the water, and don’t take unnecessary risks. Know where you’re going, stick to the plan, and stay safe. 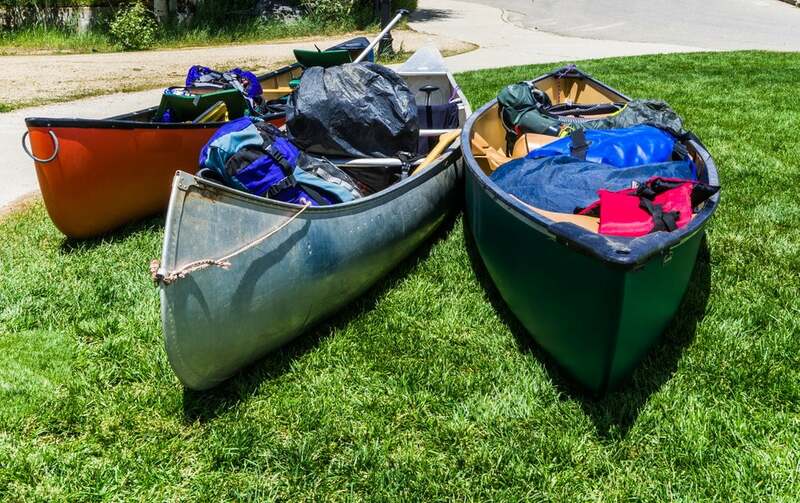 Much of what you pack for your canoe camping trip will be very similar to backpacking or (basic) car camping. Before the checklist, however, let’s talk about the one biggest difference. For a successful canoe camping trip, you need to be able to keep all your stuff dry, whether from the rain, or a potential flip. For a long time, canoeists used a traditional ‘wannigan’ to protect their gear from water. More than just a fun word to say, a wannigan is a water-tight, often wooden container, built to fit snugly into the bow of a canoe. In more recent decades, the water-proof barrel, complete with trump strap for portaging, became the go-to option. Lucky for us, modern-day drybags, like those made by NRS or Watershed, are lighter, tighter and more versatile. They can be pricey, but they’re an invaluable addition to any camping kit. When you’re not using them, you can roll them tight and even leave them outside your tent if you don’t have room. Their soft sides make them moldable to any shape, and they are much lighter if you do decide to portage. In all of the categories explained below, you will have the option of choosing a single or double seated canoe. If you have a dedicated adventure partner, children, or a dog, then the double will almost always be right. Doubles can be unwieldy to navigate alone, but not impossible, and they allow for you to bring more gear. Keep in mind that the added length can make storage and transport more challenging. A single is for the light and fast canoeist who is ready for the experience whether anyone else is going or not. Single canoes are very maneuverable but do not have a great deal of room for gear. They also tend to be more affordable and easier to drive to the put-in. The traditional, open-deck canoe is a classic for a reason. 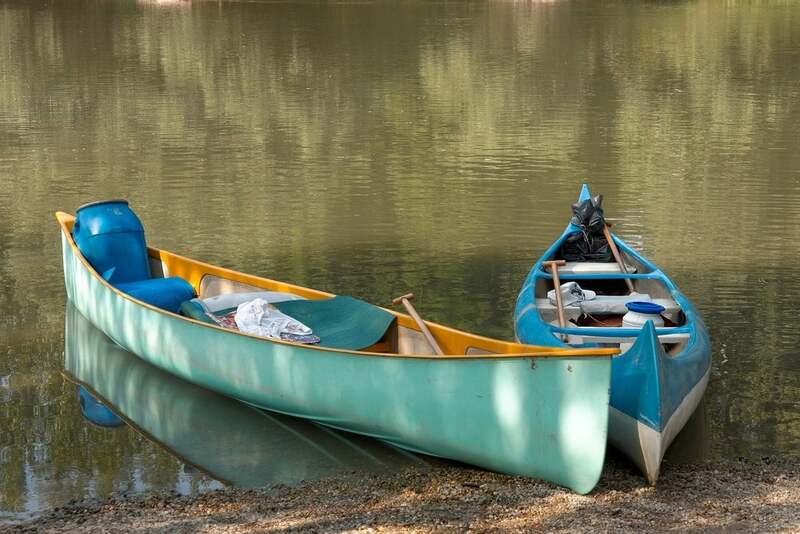 Affordable, versatile and durable, these canoes can find a home on any slow-paced river or lake. Emphasis on ‘slow-paced.’ These models are not meant to go crashing through the rapids no matter what Disney’s Pocahontas taught us. 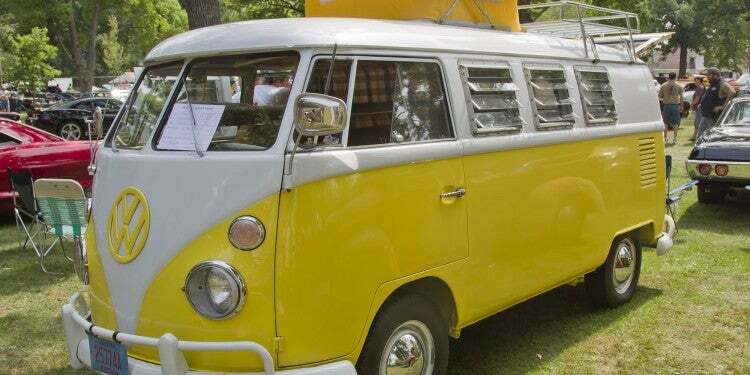 Transport can be a challenge, without large trucks or trailers, but YouTube is full of ingenious solutions for the dedicated. Within this category, you’ll have to choose from various material construction such as wood, poly, and fiberglass. Weight, cost and durability depend on the material you choose. Some will also consider opting for a square-sterned motor-mount, for returning upstream the easy way. If you plan to use a motor, make sure to carefully research captain licenses and check that you are not on a non-motorized stretch of water. Beloved to die-hard canoeists, the closed-deck canoe keeps the traditional single blade paddle, along with the crouched position allowing the paddler to travel through more exciting waters. Also known as a ‘white-water’ canoe, closed-deck canoes cover the bow and stern storage areas, leaving only enough room for the paddler(s). Canoe camping with one of these requires very minimalist packing but allows one to access rivers which would quickly swamp the basic model. Cost increases with this versatility, but most believe the investment to be worth it if you love canoeing. A favorite of western river runners, these beauties are a fun way to play in quick current, and bumping the occasional rock won’t end your trip. Maybe from durable poly-urethene (aka hypalon), or PVC, IKs come with tie-down spots for gear bags, and use a double-bladed paddle like a kayak. They do not have much of a draft, and are perfect in shallow, rocky water, however, this also makes them difficult to paddle efficiently in flatwater to cover multiple miles a day. The biggest appeal may be the ease of transport. IKs deflate quickly and roll down small enough to transport in a Honda Civic. 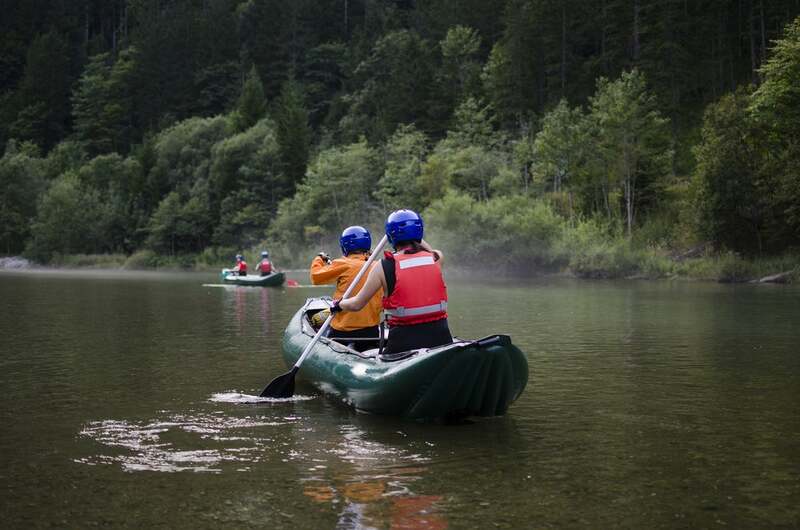 While canoe camping is a great option for any slow-water river or lake, there are few places across the country which boast ideal conditions for canoe camping. The Boundary Waters of Minnesota has to top this list. It is the quintessential destination for canoeing and sea-kayaking. While you may not want to venture away from the visible shoreline in a canoe, as they are more difficult to navigate via dead-reckoning, there are thousands of miles of beautiful coves and cliffs to explore. 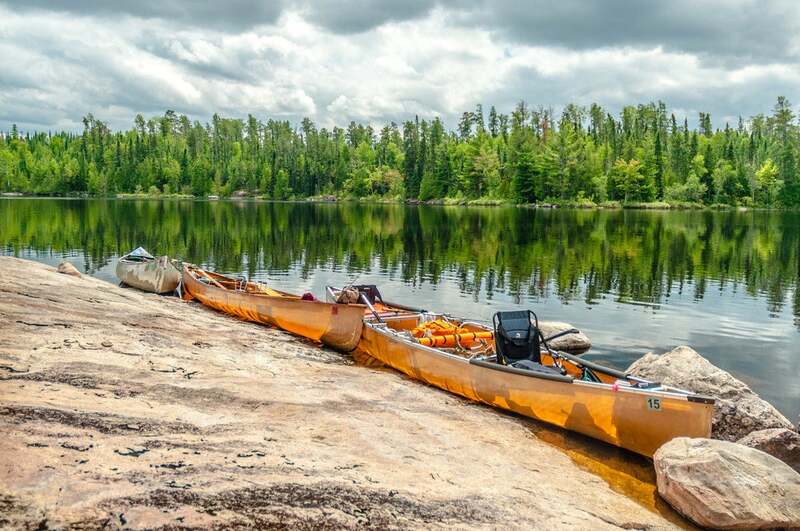 Check out this insider’s ‘How to’ Guide for first-time Boundary Waters paddlers. At the other end of the country, the Everglades offer a canoeing experience full of the beautiful details of the swamp. There are many routes to take, both through the National Park itself and the rivers nearby. As with any unique ecosystem and climate, camping in the Everglades requires special preparation and research. Paddling through the stillness of the rich air, and finding the hidden orchids and rare bird species make this a special destination. Not into humidity? 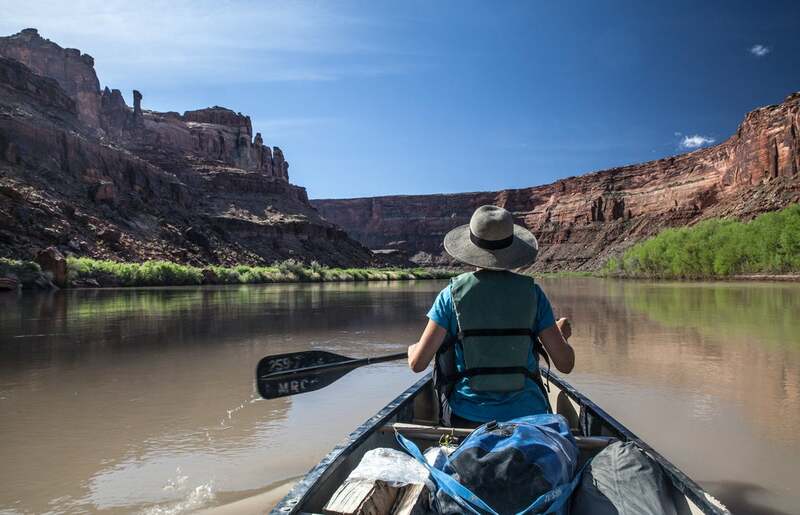 Then head out west to the Green River in Utah. Although many western rivers involve rocky rapids and narrow channels, the Green River has multiple stretches of mild gradient, winding through towering red sandstone cliffs of Labyrinth Canyon. Plan to shuttle your vehicle with a shuttle service, and spend three or four nights on the water in the high desert of Utah. As a flooded river, the calm waters of Lake Ozark offer thousands of miles of unpopulated forested shoreline to explore. 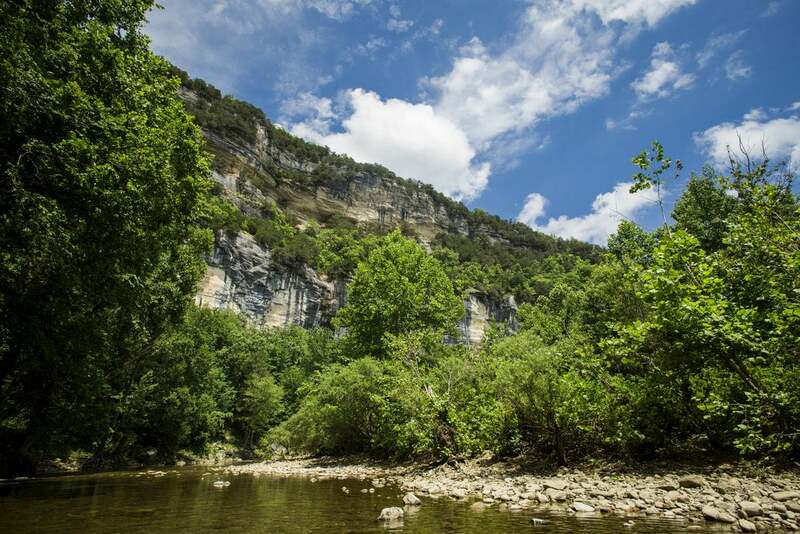 This national scenic riverway spreads across Missouri, Arkansas, Oklahoma, and Kansas. The fishing offers tremendous variety, from tasty tiny panfish, to bass and giant catfish. 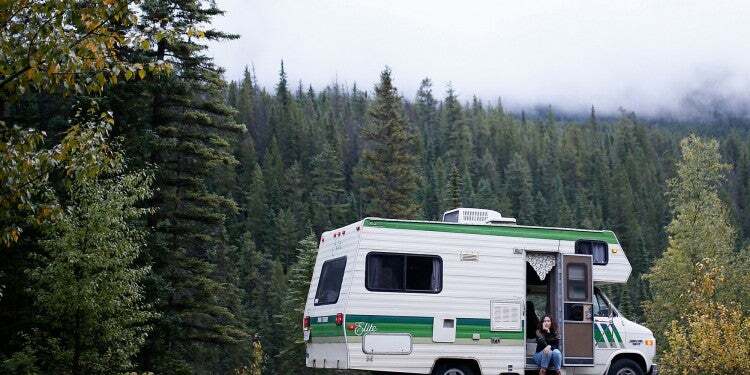 Camping in Lake Ozark State Park is a great way to get the trip started. Because of the crowds and heat, this is a great trip to take in the spring, or go in the fall to enjoy beautiful hardwood fall colors. 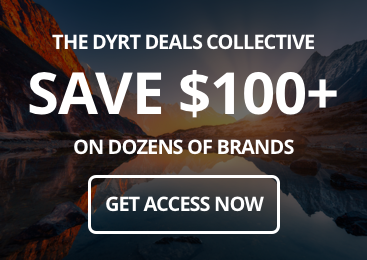 Take The Dyrt with you!